Morris Roesch, whose Light Comes In was a substantial achievement with readers, will have his new collected short stories appear in 2019 from Tarnades Press. 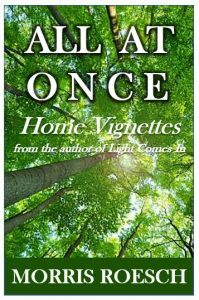 Roesch’s new collection of stories is entitled All At Once: A Series of Home Vignettes, and will appear from Tarnades Press (NYC) in spring 2019. 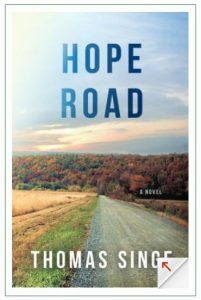 Hope Road is a contemporary novel of lasting import. When a day laborer of uncertain ethnic origins begins to influence the scions of an exclusive private school in suburban Los Angeles, one privileged father creates a vendetta to get rid of this seemingly untoward and unsavory man. In the course of their conflict, the prejudices of the father and his friends come harshly to the surface, as the day laboring carpenter demonstrates profound love, versatility, and extraordinary vision that takes him from merely being a carpenter to being a vast influence over everything that happens at the school. 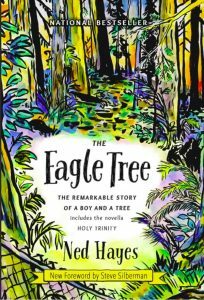 A new commemorative hardcover of The Eagle Tree by Ned Hayes will be issued in 2018, with a special introduction by Steve Silberman and an endorsement by Temple Grandin. This national bestseller has been acclaimed by readers worldwide, and sold in many languages for Little A (NYC). The Eagle Tree received starred reviews in many reader’s publications and was listed as one of the top five books on autism by Steve Silberman. The new small press edition hardcover issued by Oly Books, a specialty press based in Olympia Washington. The special edition also includes the sequel novella Holy Trinity.